For the second year in a row, Mandy Gill has been nominated for the prestigious "YWCA Women of Distinction" awards in the category "Entrepreneurship & Innovation". Through her extensive work on the Mandy Gill APP, she has been able to develop a way that she can impact clients worldwide. "Facing fear, embracing new beginnings, learning leadership, and trusting the process as stated by my mentors, are all pieces that play into announcing the most incredible honour of being named a 2018 YWCA Women of Distinction Nominee for Entrepreneurship & Innovation! I am still in shock as I share this, yet know the international transformations of clients we have seen through the recently launched Mandy Gill Fitness & Nutrition APP have changed lives, impacted communities, and the vision only continues to grow. The next four months I will be amongst some of Vancouver and the world's most extraordinary female leaders, which is a reminder to always strive for my future goals, avoid distractions, focus on my vital priorities, and incorporate adventure, family, and friendship every step of the way. As a woman, we now more than ever, have the ability to use our voice to impact future generations and be the change - I promise to do exactly that by bringing positivity and fun to healthy living. Thank YOU for believing in us!" The YWCA will be announcing the Nominees Celebration in honour of International Women’s Day on March 7th, 2018. This event will take place at Mercedes-Benz Vancouver. The most rewarding thing about being nominated as a woman of distinction is being surrounded by the most amazing women in the city. This event will be filled with personal connections with some tremendous women. 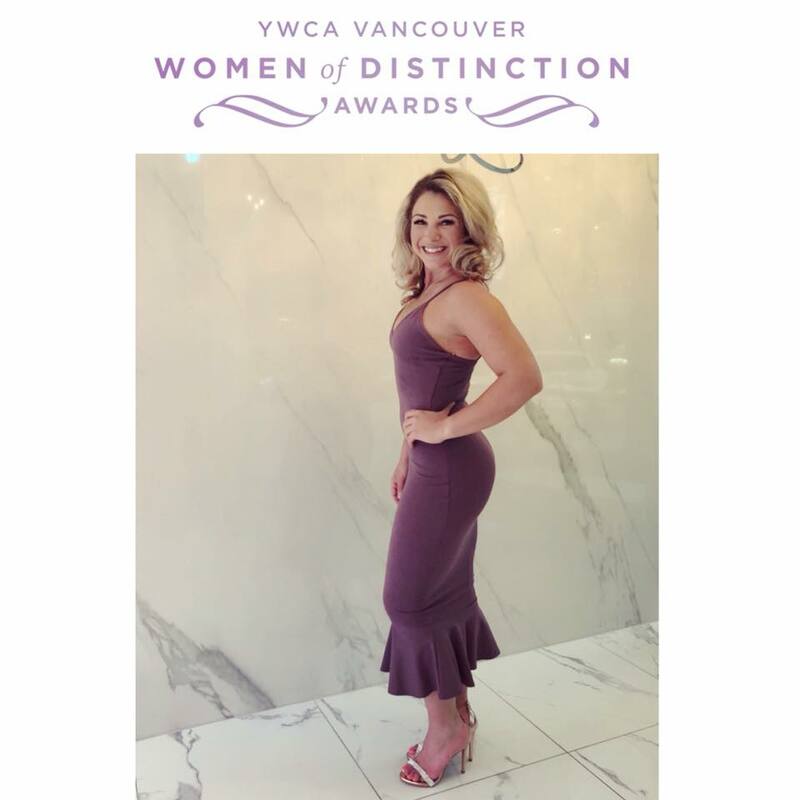 The 2018 YWCA Women of Distinction awards ceremony will be held June 7th at the JW Marriott Parq Vancouver. Stay tuned this year as we will be updating you on her nomination!